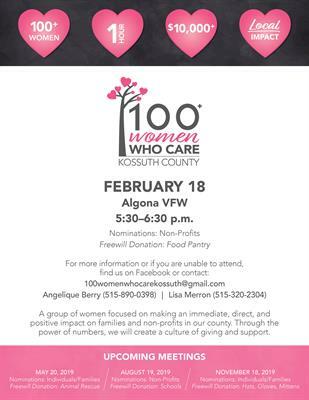 At the February meeting, we will be nominating non-profits in Kossuth County and accepting free-will donations for the Food Pantry. 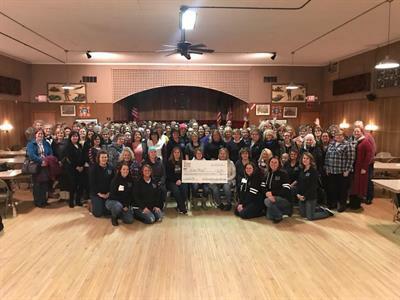 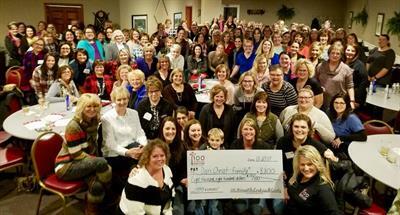 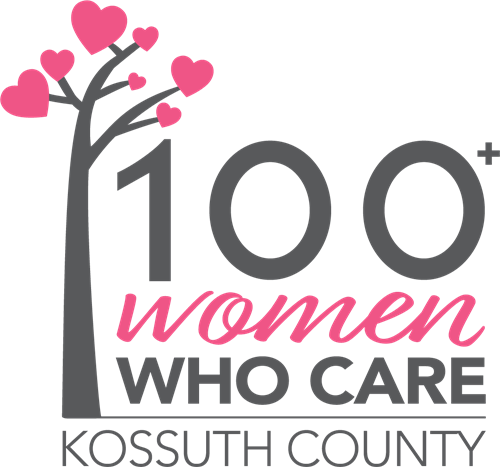 100+ Women Who Care Kossuth County is a group of women focused on making an immediate, direct, and positive impact on families and non-profits in our county. 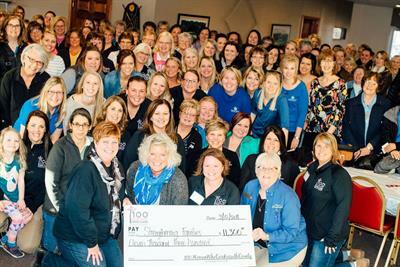 Through the power of numbers, we will create a culture of giving and support. 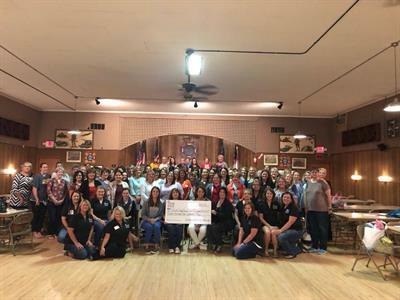 For more information or if you are unable to attend, find us on Facebook or contact: 100womenwhocarekossuth@gmail.com, Angelique Berry (515-890-0398), or Lisa Merron (515-320-2304). 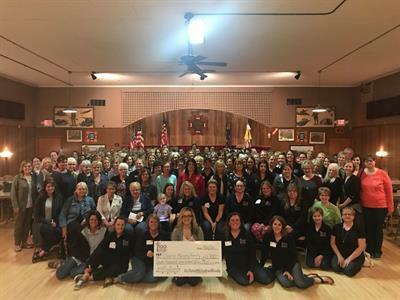 Monday, February 18, 5:30–6:30 p.m.